Like most of us, I want to be my best self. And my best self aims to be healthy in body, mind, and spirit. Energized by the momentum of a new year and the desire for my partner and me to be healthier together, I set a goal to lose fifteen pounds. I have embraced this challenge wholeheartedly and have already lost a few pounds! As Banyan’s Community Relations Manager, I rely on lists. I created the following checklist to help me stay on target. I wanted to share it in the hope that it might inspire you to create your own checklist and succeed in your own health goals. I love using my weekly planner to write down my reasons for wanting to lose weight. And I use sticky notes to post my “whys” in places where I will see them frequently: on my bathroom mirror at home and on my computer monitor at work. I also schedule workout dates and specific meals into my calendar to help with planning, focus, and accountability. Being a better representative of health and well-being; I work for a health company after all, and I want to be in integrity. Being more connected to my body and tuned into my actions. Helping my partner to lose weight and doing it together! Decreasing minor aches and pains. Feeling and looking better in my body and clothes. Boosting my confidence and energy! When I feel good, I can be a brighter light in the world. Apps! I find apps to be incredibly useful. My partner got us a fancy new scale for Christmas that measures and tracks weight, BMI, and other body metrics. It connects to certain apps that help me track my progress. I also use apps on my smart phone to log meals, measure macronutrients (fat, carbs, and protein), and keep track of calories burned. There are even mini-workout videos available! In accordance with Ayurveda, I am eating whole, unprocessed foods, avoiding fried foods, and eating for my body type; for example, I am exploring a lower carb diet. Meal planning is key for me. If I don’t plan, I don’t cook healthy meals and then eat randomly. I love looking online for new recipes and getting new recipes from my co-workers. I keep a running shopping list using an app on my phone that allows me to make lists, and I shop 2–3 times a week. I add each meal I plan to cook into my calendar, so I don’t forget my plan. Cutting up veggies in the morning before work helps me speed up meal prep time when I get home from work. I bring my lunch to work, usually leftovers from the night before. I keep a small ceramic rice cooker at the office and when I don’t have leftovers, I use it to steam greens and beets while I am working, to eat for lunch. I have a lunch club with a few work friends and we potluck healthy foods and share a meal. This is a fun and healthy way to support each other’s health goals, use up food that needs to be eaten, and connect with friends. I make potassium broth and bone broth weekly. I have been drinking the potassium broth throughout the day, and the grass-fed bone broth as a breakfast substitute (sounds weird, I know), but it keeps me satiated, it’s easy, and it comes with a host of benefits. I pick two restaurants that offer healthy food and stick to those two restaurants if eating out. Your friends will be happy to support you! Eating is such a vital component to reaching our health goals, and my goals give me incentive to pay attention to my eating habits and where I can make adjustments. To start my day, I drink a warm cup of lemon water to flush my system, get things moving, and support my liver and gallbladder. Since I am balancing excess kapha, I am experimenting with intermittent fasting (longer periods of not eating) and skipping breakfast a few days a week, especially when I am not hungry in the mornings. I eat 2–3 meals a day and am minding my meal portions by listening to my body, and I stop eating when I am no longer hungry. Part of this mindfulness practice is remembering to eat slower and set my fork down between bites. I do not snack between meals. This gives my body plenty of time to digest the food in my belly before I add more undigested food. I am also trying to eat an earlier, lighter dinner before 7 p.m. each night. Movement is another vital component! I keep a set of eight-pound weights in my living room to remind myself to do twenty arm curls before I sit on the couch, and I have a goal of walking three or more miles a day. 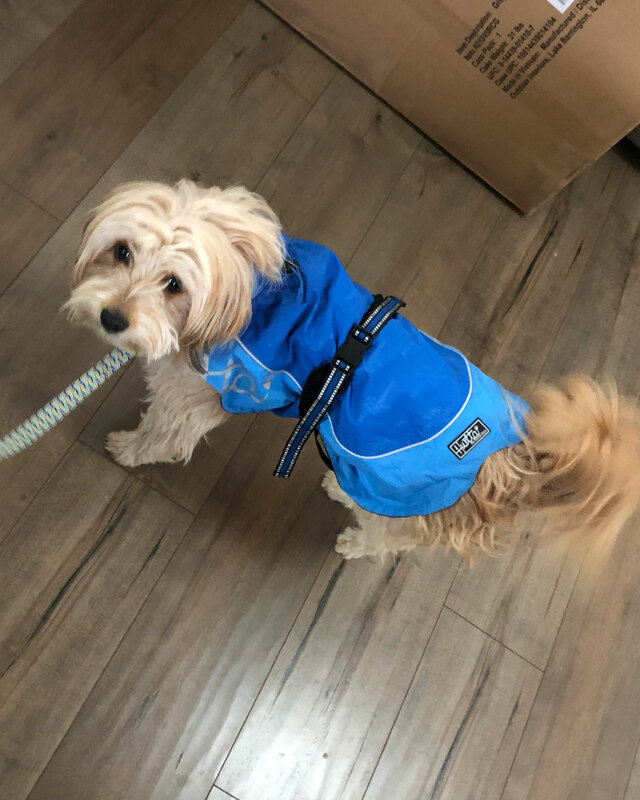 Rain or shine, I really love beginning and ending my day with a walk with my dog, Jasper. I measure miles and steps with the help of another app, and I count those numbers to keep me motivated. This week, instead of meeting in a conference room, I suggested a walking meeting, and we walked one and a half miles! Sometimes it’s not possible to do this, but wow, what a refreshing way to meet! I am very fortunate that Banyan is supportive of our self-care and well-being. Each afternoon in the Marketing department, we do “three o’clock squats” and stretch as a team. This is so much fun, and short bursts of interval training really do add up. I schedule hiking or snowshoeing dates with friends on the weekends. Exercising outdoors doesn't feel like work, and getting fresh air (and hopefully a little Oregon sunshine) helps regulate melatonin and improve sleep! It’s also really good for my kapha! When it comes to sleep, there are studies that show how important sleep is for supporting weight loss results, so I try get at least eight hours of sleep every night. I am also making an effort to go to bed and to wake up thirty minutes earlier to be more naturally aligned to the rhythm of the sun and the magic hours of the morning. I take triphala every night to help keep things moving and detoxifying. Sat Isabgol, otherwise known as psyllium husk, helps make me feel full and is a great source of fiber. I take this on the mornings when I don’t eat breakfast. Trim Balm is a blend of warming and cleansing herbs in a base of sesame and sunflower oils. Used with self-massage, it is great for increasing circulation to target areas of the body. I rub it into my tummy and thighs every morning or night. 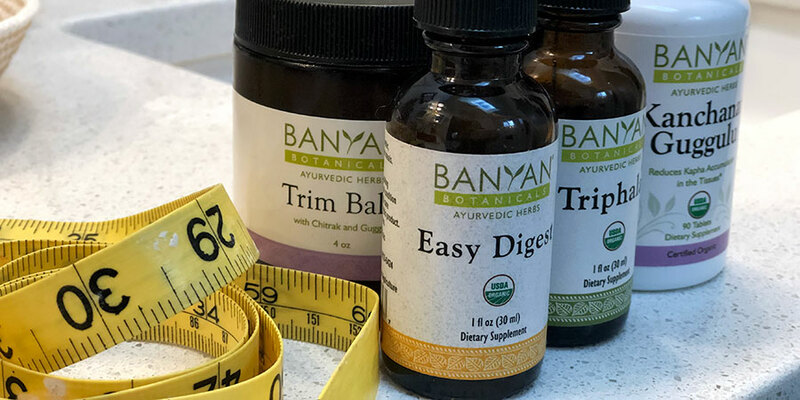 I love taking Banyan’s Ginger liquid extract or Easy Digest formula before or after meals to help ignite my slower kapha digestion. Of course, as Ayurveda states, we are all unique, and my checklist may certainly look different than yours. I hope you will find some nuggets to adopt and incorporate into your own health-goal strategy. And I wish you confidence, energy, and renewed vitality, so that we may all be bright lights in the world. Erin is Banyan Botanicals Corporate Responsibility and Community Relations Manager. Her passions include world travel (including nine trips to India! 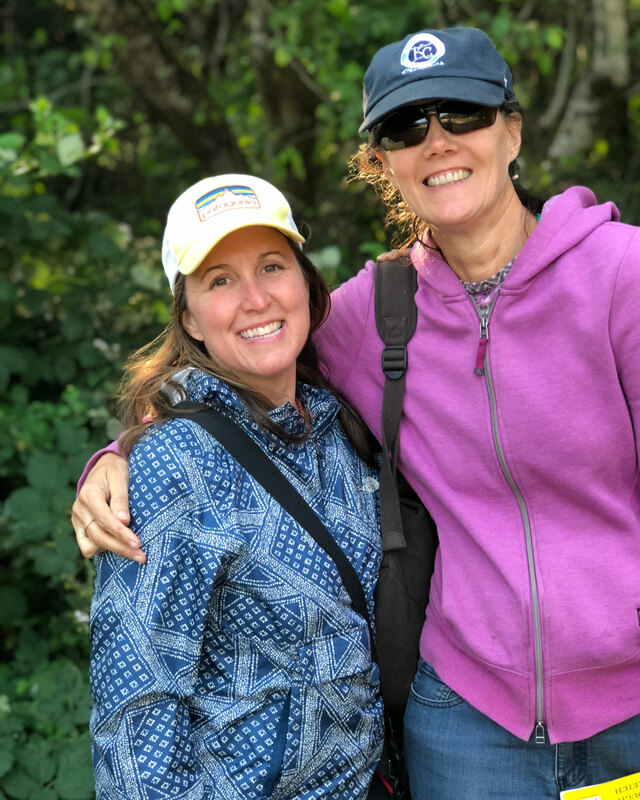 ), hiking with her dog Jasper, and attempting to make the world a brighter place through humanitarian/service work and her non-profit work with The Helpers Farm and Learn Grow Lead.  Her professional background prior to joining Banyan Botanicals in 2013, includes Media Sales and Marketing with The Walt Disney Company and Event Marketing and Corporate Events with Bank of America and Discovery Networks. 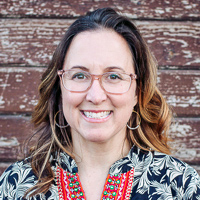 She holds a bachelor’s degree in Organizational Communications and Public Health from Northern Arizona University and is a NAMA certified Ayurvedic Wellness Counselor.